We’re sharing this blog post with permission from Heather Oglesby. Heather became a caregiver to her mom at an early age, and her blog highlights her struggles and triumphs, as well as those of other caregivers. Her story below beckons you to find your passion and purpose, which she did on her bike. Cycling has always been a great outlet for me and my Passion. I started my cycling journey in college, when I was double majoring in Sociology and Art and also working full time to put myself through school. I remember thinking about the perfect outlet to release the stress and sustain my love for the outdoors. How could you not love feeling the breeze on your face, the ground beneath your pedals, and the view ahead of you, awaiting your arrival. When I became a full-time caregiver for my mother with Alzheimer’s, I immediately returned to the activity I loved: biking. What is it about biking that frees your soul, quiets your mind, and soothes your heart? For me, it gives me an opportunity to observe my surroundings, listen to the birds, and take in the beautiful skies above me. It gives me the time away from the caregiver role and provides me the opportunity to express me, a woman full of joy and driven by exploration. It is my passion. How did my passion turn into Prevention, and prevention of what? After a year of cycling in the local Georgia parks, trails, and roadways, I realized that I was biking over 70–90 miles a week. My bike and I became one and I was receiving many health benefits from it. 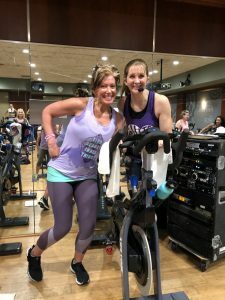 I decided to take some indoor spin classes and to my surprise, I loved it. My focus shifted from enjoyment to prevention, specifically prevention of dementia or any chronic disease. Watching my mom lose her life to several incurable diseases at an early age shook my world. I knew I needed to start now to address my health before my life was shorted by something I could have prevented. While the exact calories burned on a bike varies from person to person, cycling burns as many calories as running and is much more forgiving on the joints. The many benefits are that it improves cardiovascular health, boosts energy, builds muscle, and improves coordination. What I was most interested in was the connection of cycling to brain health, especially in women. Women are two times more likely to be diagnosed with Alzheimer’s than men and we don’t know why. Research proves that daily exercise can prevent cognitive decline, sharpen memory and learning, and improve overall brain performance. However, what are the benefits of outdoor cycling or indoor spin classes on the brain? According to “Biking for Your Brain,” cycling actually builds a bigger, more connected brain. As we pedal, we increase healthy blood flow to the entire body, including the brain. Pumping oxygen and nutrients into this organ provides a kind of neural fertilizer, creating rich capillary beds in the gray matter and increasing the brain’s capacity to grow, function, and repair itself. Cycling helps stimulate regions of the brain such as the hippocampus, which plays a critical role in memory function. According to “Better Brain Health: A Priority for Women,” women who had high fitness levels were 88% less likely to get dementia. Recommendations to consider include varying the intensity of your workout with techniques such as high-intensity interval training (HIIT), in which short bursts of high-intensity cardiovascular exercise are alternated with low-intensity activity or rest. Thus, have you ever tried HIIT on a spin bike? What an intense experience. 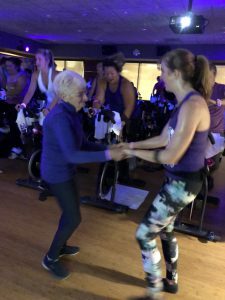 Recently I took at HIIT spin class at Lifetime Fitness in Johns Creek, GA, with an amazing instructor, Ellen Nicoll. It was something new and challenging. 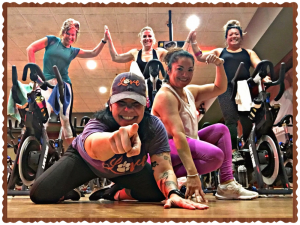 My tribe of women that I work out with every day decided to rock it out and endure a brutal sweat session. The benefits of trying new physical endurance activities are numerous. Try a new activity, increase the intensity or duration, and develop a community of support in your wellness journey. This brings me to the last “P” in my blog title, Purpose. I recently had a birthday and reflected upon my life thus far (as we all do). My walk has changed, my perspective has shifted, and my purpose has blossomed right in front of me. How did a passion that developed over 20 years ago turn into a primary prevention approach in my life and now a defined purpose, which is to increase the awareness of brain health in women? 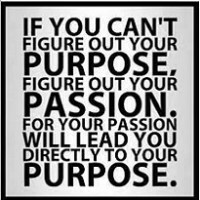 Have you figured out your passion and thought about how that directs your purpose? It’s all connected if we choose to see it. Your life is on purpose, literally. I encourage you to take your experiences, what you love, and create a purpose-driven plan to enhance the lives of those around you. We are a community and can learn from one another. Teach, give, and continue to work toward being whole.